In honour of International Youth Day, held annually on 12 August, IFAD is highlighting seven rural youth from around the world to discuss the challenges and opportunities they face, and to discover what they need in order to improve their lives and feed the world. 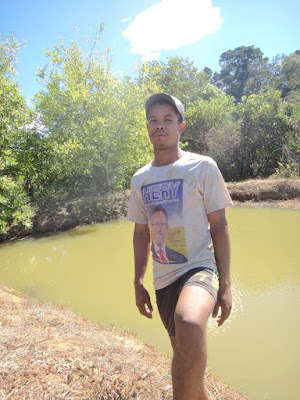 In this interview, Sandra Paulina Segin, a research intern for IFAD in Madagascar, spoke with Jean Lomi, a young fish breeder. Lomi’s family has a long history of working in agriculture and he was recently involved in the IFAD-funded Support Programme for the Rural Microenterprise Poles and Regional Economies (PROSPERER), which focuses on increasing the incomes of poor rural people through small and micro rural enterprises. Q: Describe what you do to earn a living. Q: What are the challenges you face in a rural community? Q: And did you receive any support when you started? Q: What do you think governments and development agencies can do to support rural people in your area? Q: Some people have a negative view of farming, agriculture, and rural areas? What would you say to that? Q: What has been the greatest lesson you learned so far? Q: Who inspires you in life? Q: What advice would you give to young people who want to do what you’re doing?